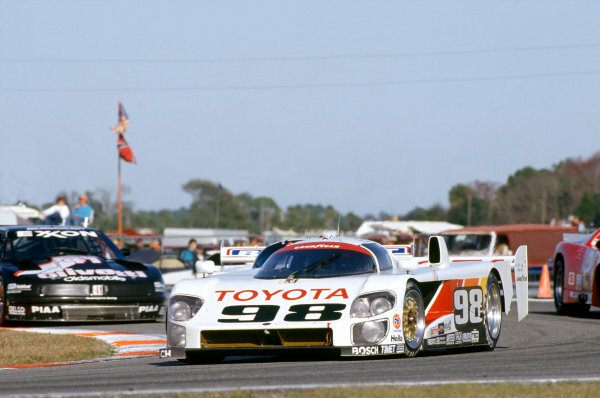 Daytona 24 Hours, Florida, USA. 2nd - 3rd February 1991. Rd 1. 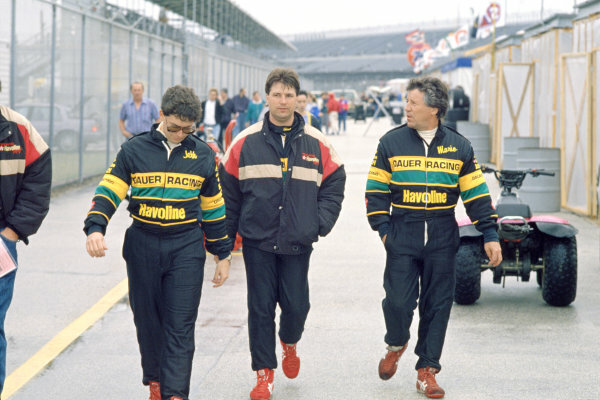 Left to Right: Jeff Andretti, Michael Andretti and Mario Andretti walk through the paddock, portrait. World Copyright: Bill Murenbeeld/LAT Photographic. 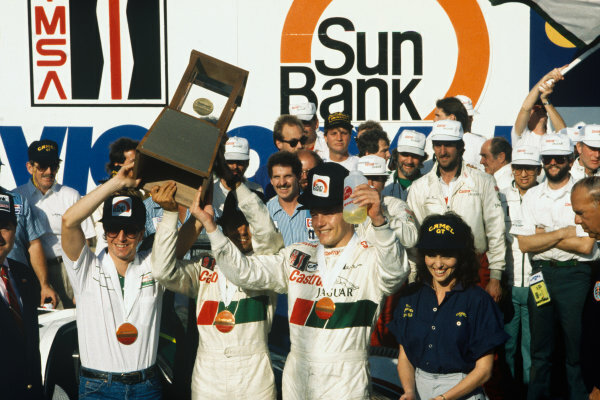 Ref: 91IMSA DAY01. 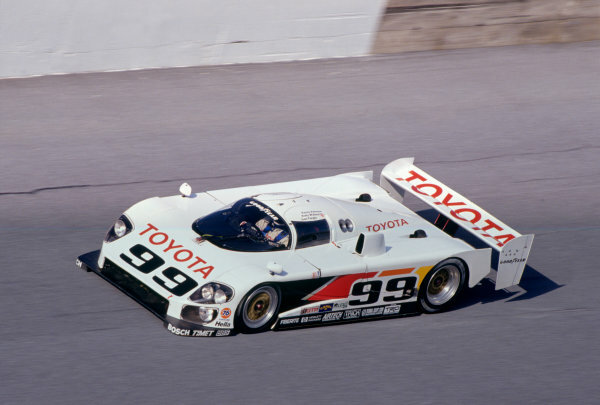 Daytona 24 Hours, Florida, USA. 3rd - 4th February 1990. 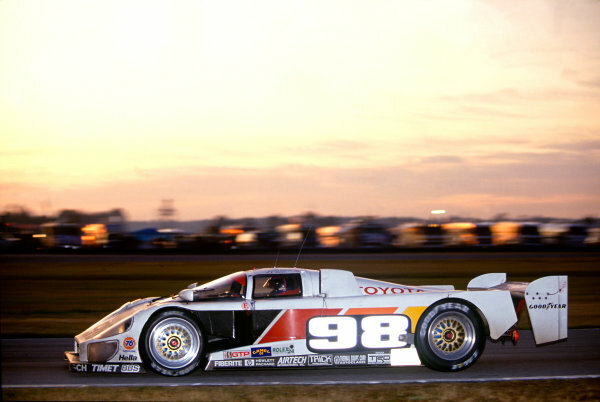 Drake Olson/Rocky Moran/Juan-Manuel Fangio II (Eagle HF89 Toyota), retired, action. World Copyright: LAT Photographic. 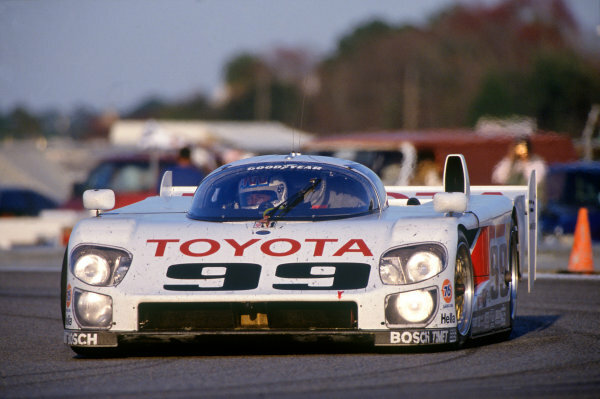 Ref: 90IMSA DAY05. 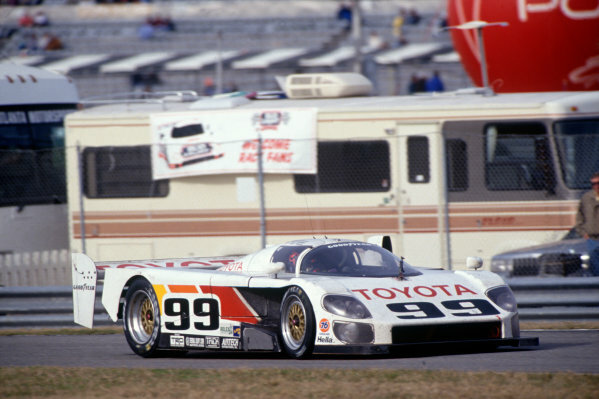 Daytona 24 Hours, Florida, USA. 3rd - 4th February 1990. 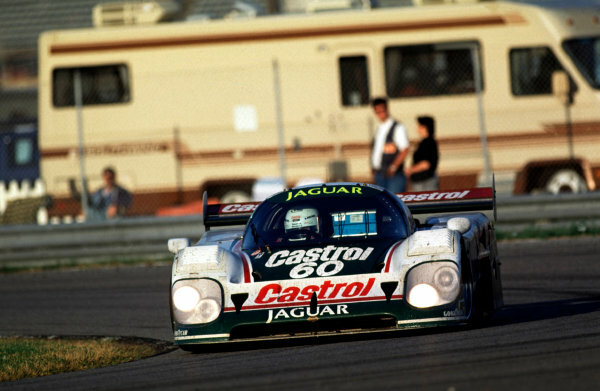 Davy Jones/Jan Lammers/Andy Wallace (Jaguar XJR-12D), 1st position, action. World Copyright: LAT Photographic. 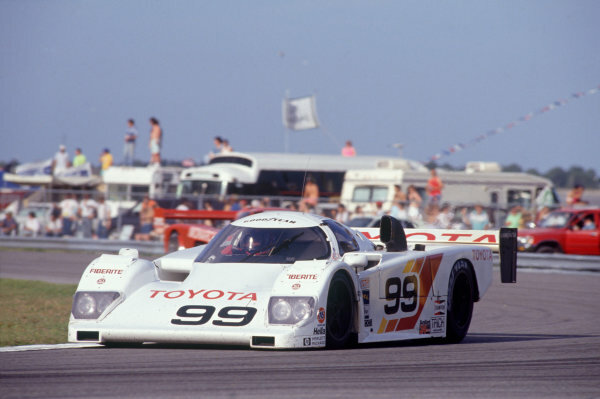 Ref: 90IMSA DAY01. 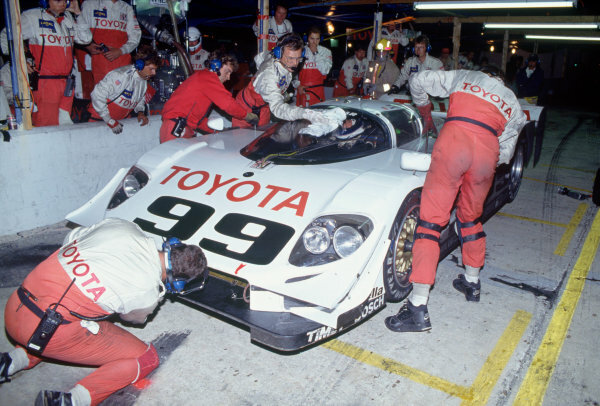 Daytona 24 hours, Florida, USA. 4th - 5th February 1989. 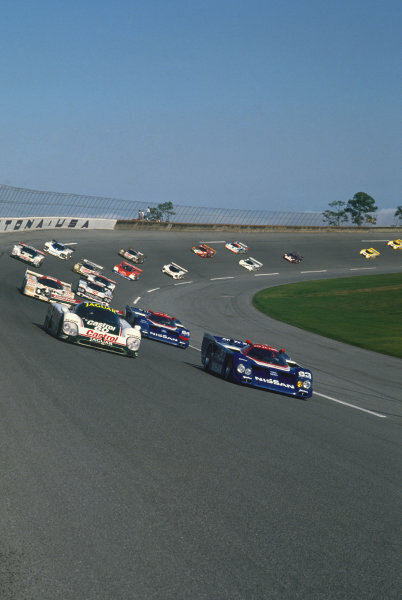 Rd 1.<br /> Davy Jones/Raul Boesel/Jan Lammers (Jaguar XJR-9), retired, leads Geoff Brabham/Chip Robinson/Arie Luyendyk/Michael Roe (Nissan GTP ZX-Turbo), retired, at the start, action. 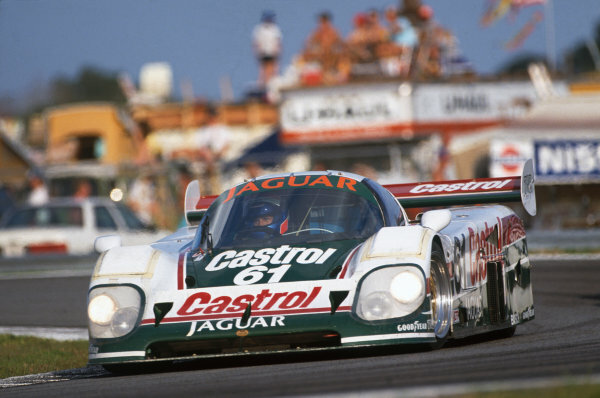 <br /> World Copyright: LAT Photographic.<br /> Ref: 89IMSA DAY01.